Gary E. "Shaw-Nosh" Mitchell, 63, Mayetta, died Friday, Jan. 23, 2015, at Stormont-Vail Regional Medical Center in Topeka. He was born Feb. 8, 1951, in Holton, the son of Andrew Mitchell Sr. and Alberta Marie Nagmo. He graduated from Mayetta High School in 1969. He also graduated from Washburn University with a bachelor's degree in political science and from Baker University with a master's degree in liberal arts with an emphasis in history. Mr. Mitchell served 28 years for the Prairie Band Potawatomi Nation. He was past treasurer, chairman and vice chairman of the Tribal Council. 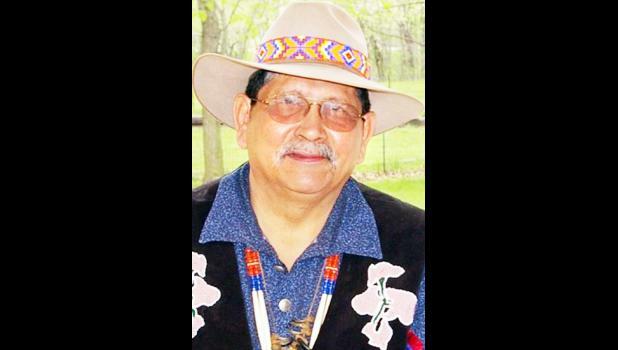 He currently was chairman of the Tribal Gaming Commission and served as tribal historian. He was also the published author of "Stories of the Potawatomi." He was a member of the Prairie Band Potawatomi Nation and the Drum Religion. He was a drum chief. He married Voncile Potts on April 20, 1971, in Hiawatha. She survives. Other survivors include his mother, Judith Wabaunsee, Topeka; three daughters, Joanna "Dumps" Mitchell and Martie Ann Mitchell, both of Mayetta, and Rose Allen, Horton; five sisters, Jackie Mitchell, Mayetta, Shirlene Seymour, Winnebago, Neb., and Sandy Mitchell, Lisa Wamego and Edie Wamego, all of Mayetta; 5 brothers, Eddie Joe Mitchell of Mayetta, Leo Mitchell, Valley Falls, and Randy Mitchell, John LeClere and Mando Evans, all of Mayetta; five grandchildren, Tara, Waskeh, Kek, Luis and Patko; and four great-grandchildren, Taylor, Shug, Oshketah and Kweh Kweh Gee. He was preceded in death by his parents, Andy Mitchell Sr. and Alberta Wamego; his step-father, Algernon Wamego; his twin brother, Larry Mitchell Sr.; and two brothers, Andrew Mitchell Jr. and Mike Wamego. Drum services will be held Monday evening, Jan. 26 at the Danceground Building. Burial will be held Tuesday afternoon in Mitchell Cemetery. Mr. Mitchell will lie in state Saturday afternoon, Jan. 24 at Mercer Funeral Home in Holton.